Dracula the Unconquered was dead. It had been three years since our last issue, and while I’d written scripts for the next few and plotted out entire story arcs in my head, and even considered what I might do with spin-offs for characters who hadn’t even been introduced yet, it looked like those were never going to happen. 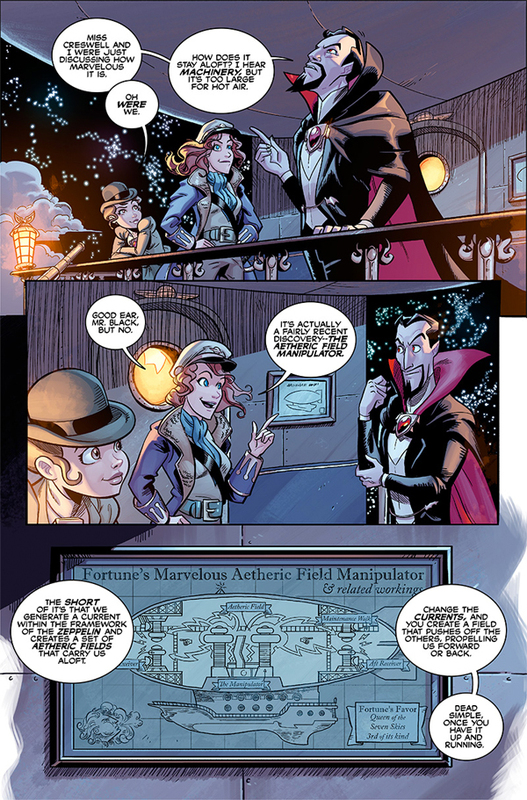 It was a shame, too — of all the comics I’ve written Dracula is the one I have the most fun with, the one that I get ideas for without even having to try, and Steve Downer and Josh Krach brought it to the page exactly as I saw it in my head in those first two issues. But three years is an eternity in comics, even when you promised an “irregular” update schedule. So yes: Dracula was dead and buried. But as we all know, being dead has never stopped him before. 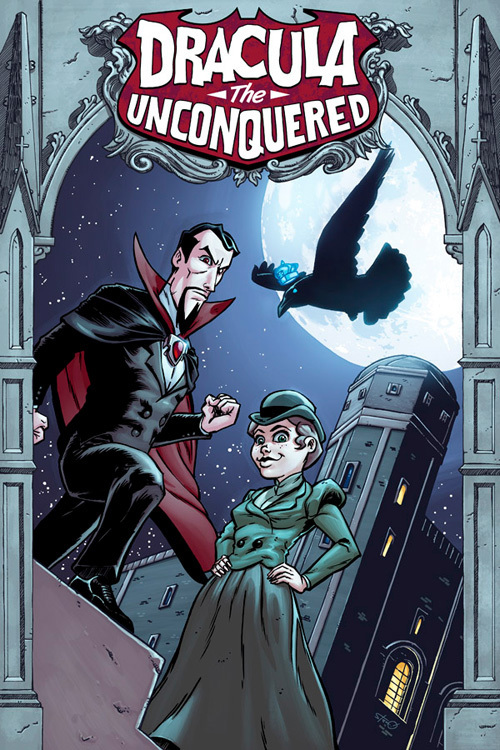 Today, the team behind Dracula the Unconquered is finally back together, chronicling the adventures of the former Sovereign of the Undead as he journeys across the world to battle his enemies with our third action-packed issue: “The Flight of Fortune’s Favor!” Witness the thrill of Air Pirates in the skies over Europe, and the blood-boiling debut of one of Dracula’s oldest rivals! 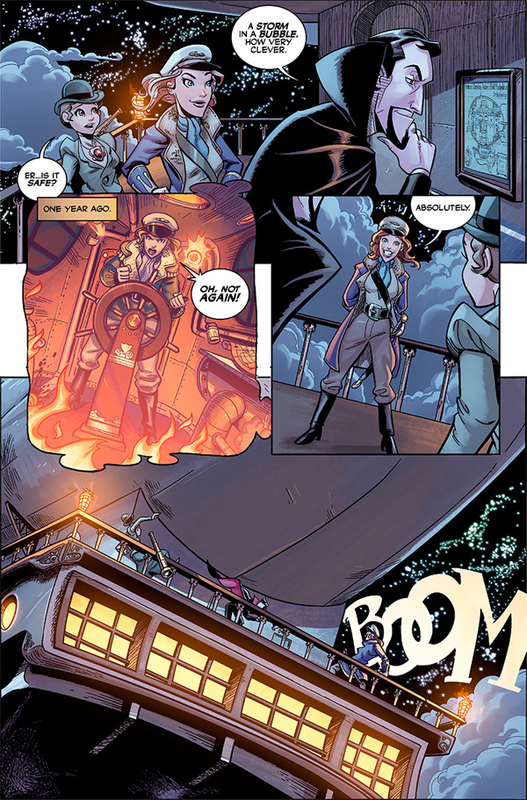 All this and more, available now on Comixology, with 24 pages of full-color action for a mere $1.99. If you’ve been paying attention very closely over the past few years, then you might notice that the issues are now on Comixology, rather than being sold independently on Pulley or Gumroad. For the record, #1 and #2 are still available on Gumroad in PDF and CBZ, but in all honesty, Comixology addressed the major problem I had with the platform when they announced downloadable “backup copies” of virtually all independent titles. Pick it up there, and you’ll be able to snag it in DRM-free CBZ, just as you could with the first two. 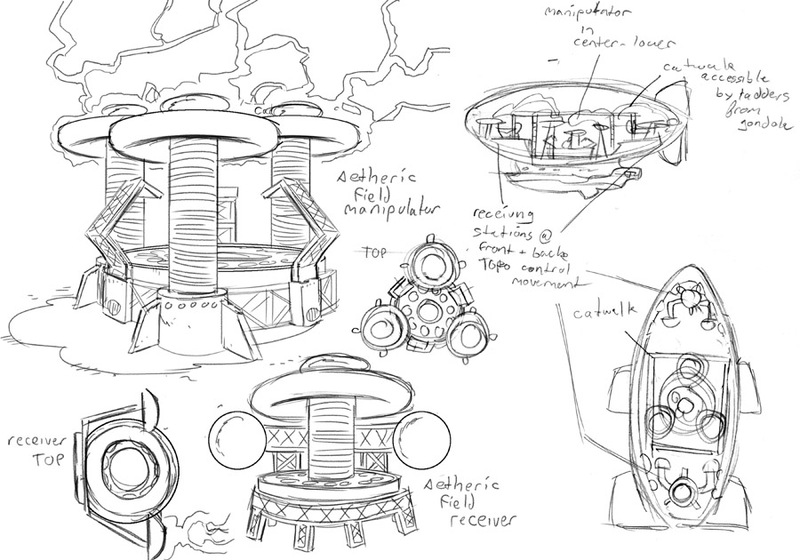 And Steve’s design for the Fortune’s Favor. 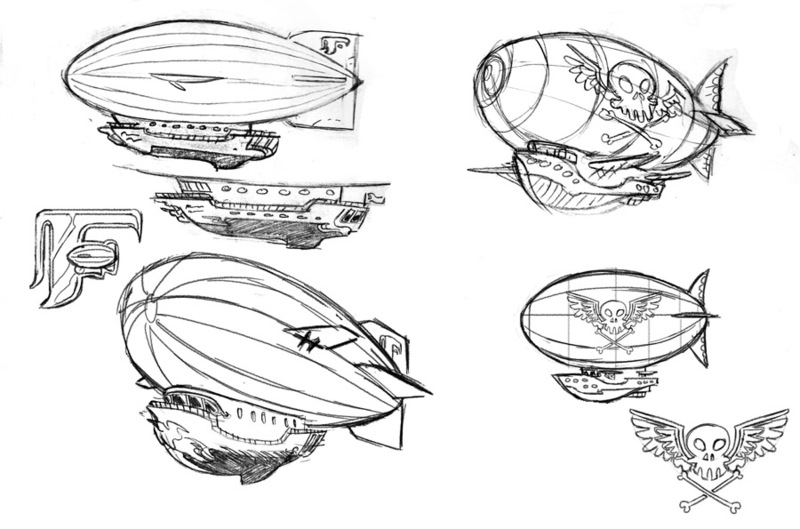 Believe it or not, I actually sketched out a version of this in my notes ages ago — a Zeppelin with a sailing ship attached to the bottom, along with its pirate counterpart. 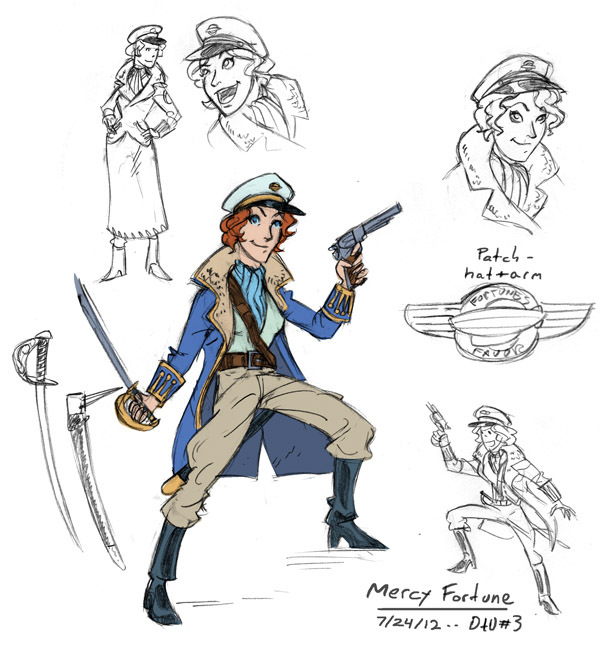 And, well, there’s one more design, too, but it’s a bit of a spoiler. If you’ve read the issue and want to see more of our guest star, check them out right here! That’s all for now, but if all goes well, there’s more to come. Let’s just hope it won’t be another three years! 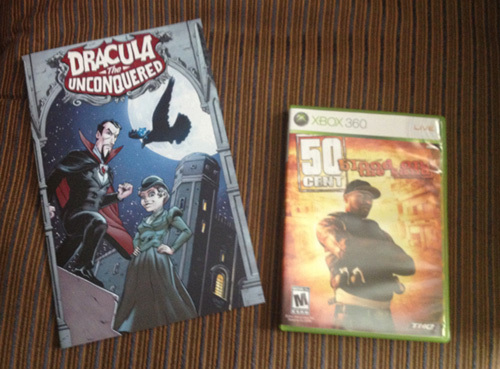 Print Is Undead: The Drac #2 Contest! If you were waiting for something that would make buying Dracula the Unconquered #2 even more enticing than just getting an all-new, all-ages, all-action 24-page comic for just one dollar, now is your chance: Anyone who picks up Drac #2 before Friday gets a chance to win a copy of the Drac #1 Special Edition (pictured above with 50 Cent: Blood on the Sand to prove it exists), a printed version of our first issue. I’ll sign it, draw something on it, whatever you’d like! All you need to do is buy it this week — and if you’ve already bought your copy, that counts too — and I’ll pick someone at random and send an email first to make sure you want it! I’ve sold the print copies at conventions before, but since the digital version is only a buck, they’re prohibitively expensive to make. As a result, they’re totally rare collector’s items (or at the very least, they’re “rare” enough that they hopefully make a nice little bonus for people who like the series). Head over to Dracula the Unconquered to grab your issue and maybe win something printed on paper! 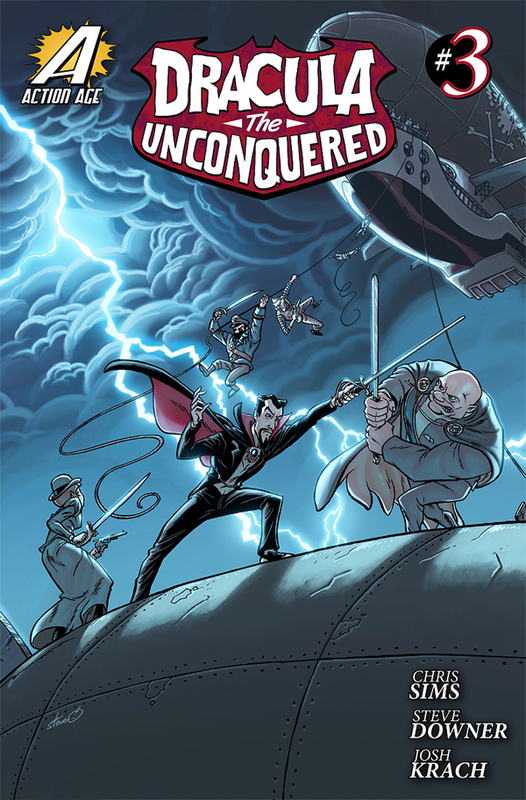 Dracula the Unconquered #2 Is Finally Out! 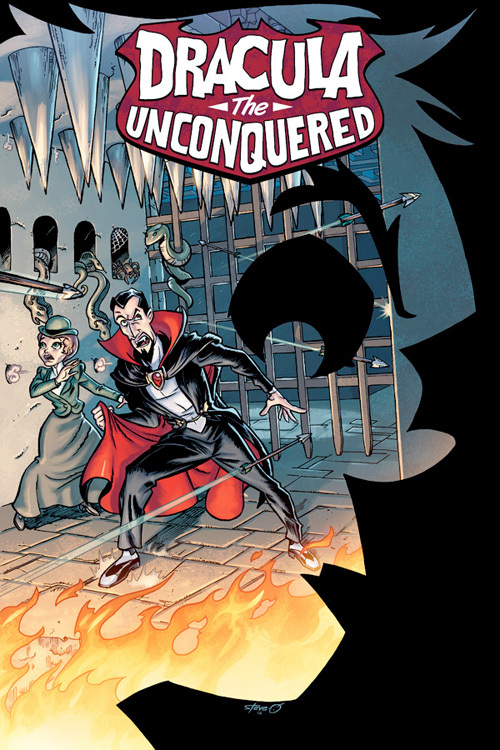 Finally, after months (and months, and months) of anticipation, Dracula the Unconquered #2 is available now! 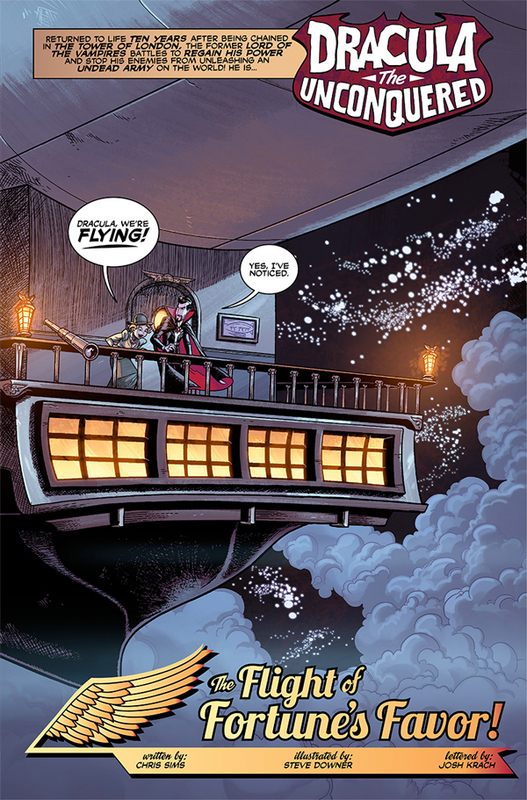 For one thin American dollar, you get 24 pages (plus covers) of all-new, all-ages, all-action comics by me, Steve Downer and Josh Krach, with Dracula and Thalia descending beneath his London manor home and being confronted with an enemy from his past! You can read a six-page preview at the link above, and buy the full comic. Feel free to spread the word! 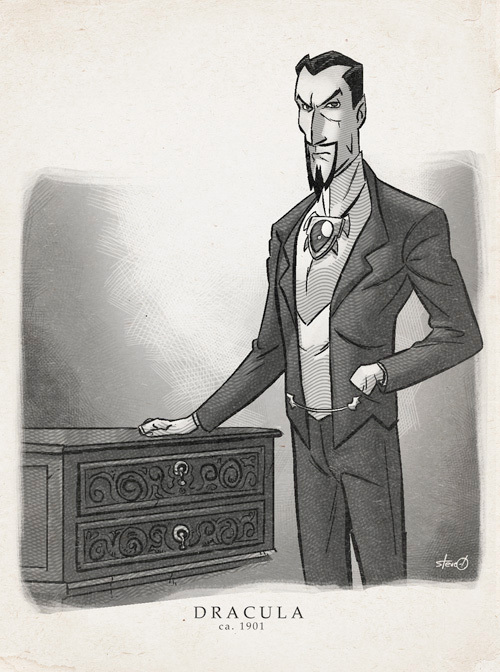 This weekend, we’ve finally updated the Characters page for Dracula the Unconquered, with beautiful images from Steve and backstory from me on our three principal characters: Dracula, Thalia and Varney. So if you want to find out a little more about them with some information that may or may not be revealed in the comics themselves, head on over and check ’em out! And speaking of the comics themselves, they’re still available as $1 digital downloads in CBZ or PDF, directly from the website. If you haven’t already, read the preview and check ’em out! Dracula the Unconquered Is Here! Dracula the Unconquered is here! As promised, the first issue of the new ongoing digital comic book series by me, Steve Downer and Josh Krach is now available for download for one thin American dollar! 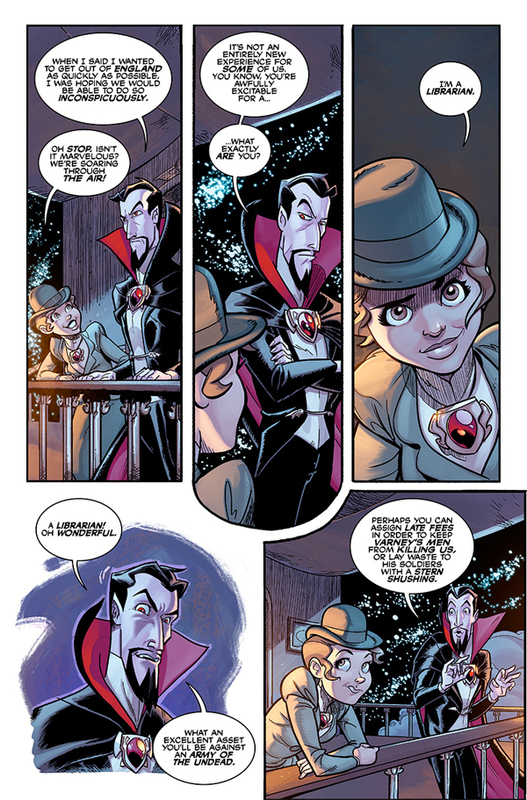 The first issue sets the stage for the entire series, introducing my versions of Dracula and Varney as well as Thalia, Drac’s new teenage girl sidekick, plus the driving conflict of the series and a couple of key elements about the world in which they live. Hopefully, I’ve managed to do all that and tell an entertaining adventure story. You can find out more at the link above, including a six-page preview and links to plenty of interviews where I yammer on about what the comic is supposed to be all about, so head on over and check it out! Happy Halloween, everyone! 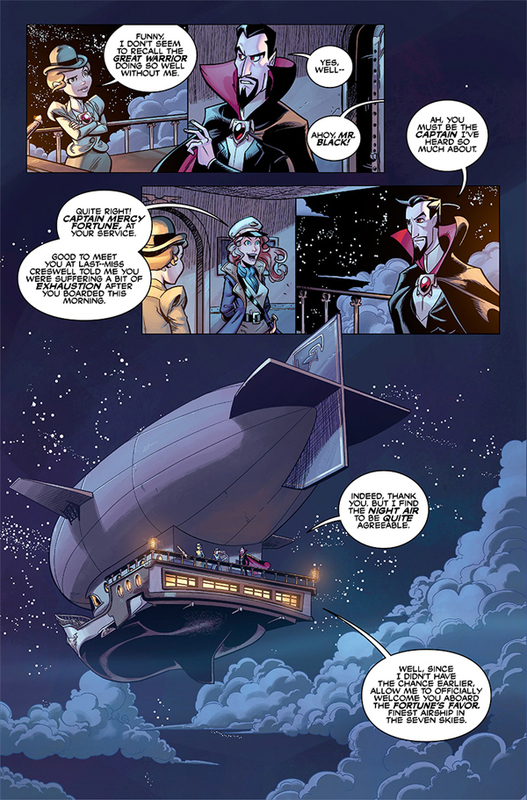 The First Six Pages of DRACULA THE UNCONQUERED #1! Dracula the Unconquered #1 will be released on Monday for Halloween, and to get people as interested as I possibly can, we’ve put up the first six pages as a free preview! 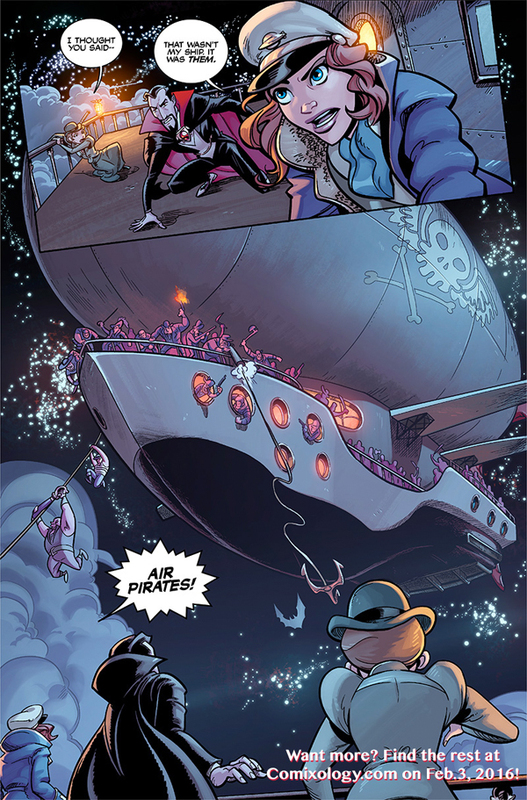 It’s the first 25% of the book, featuring story by me, art by Steve Downer and lettering by Josh Krach, and its got one of the best pages I’ve ever written. So, if you like it and you want to get 18 more pages of blood-drinking, monster-fighting, spell-casting action, come back on Monday to download the entire issue for one thin dollar! If you enjoy it, please spread the word. If you don’t enjoy it, spread the word anyway. Ironic dollars spend just as well as honest ones! Two Interviews About DRACULA THE UNCONQUERED! The first hit at ThreatQuality.com, where I reveal that the biggest inspiration for Dracula the Unconquered was Carl Barks’ Uncle Scrooge. 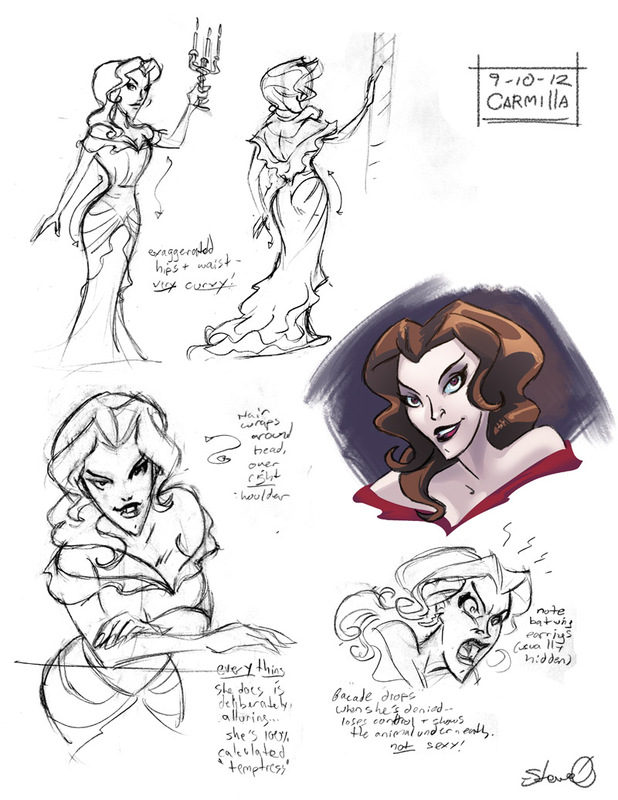 The second is at the appropriately spooky Me and You and a Blog Named BOOOOOOOOOO, where I talk a little about Thalia and Drac‘s relationship to Solomon Stone. Read ’em. Spread the word. Get ready for Dracula!